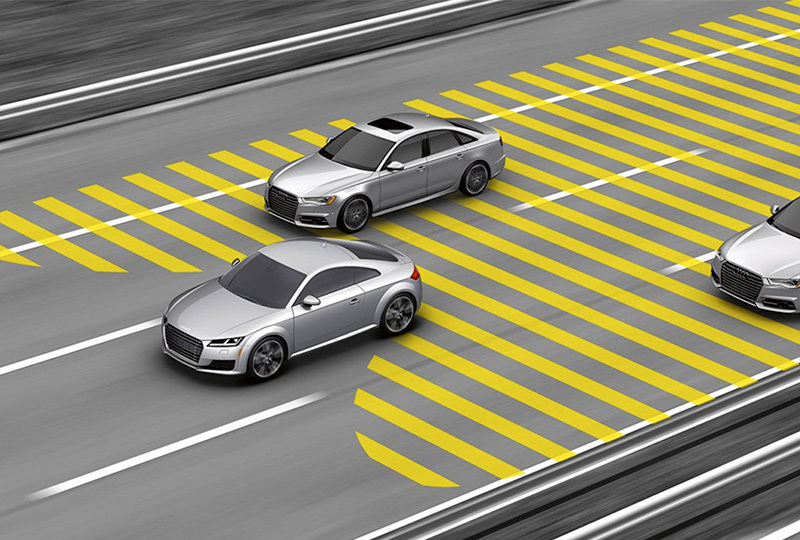 The 2018 Audi TT Coupe from Audi San Diego in California, serving La Jolla and University City, is a playful sports car that's ready to impress with stand-out style and intuitive features. Performance details bring a whole new level of confidence to the exterior design that has the iconic Singleframe grille and LED taillights for dynamic turn signals that stand out. Pump up your power with the aggressive, 2.0L TFSI 4-cylinder engine that supplies an ample 220 horsepower for impressive performance. Your cockpit has been refined with the finest materials, including leather-trimmed upholstery and sophisticated interior trims. Keep track of driving information with the standard Audi Virtual Cockpit, a 12.3-inch instrument display with customizable features. 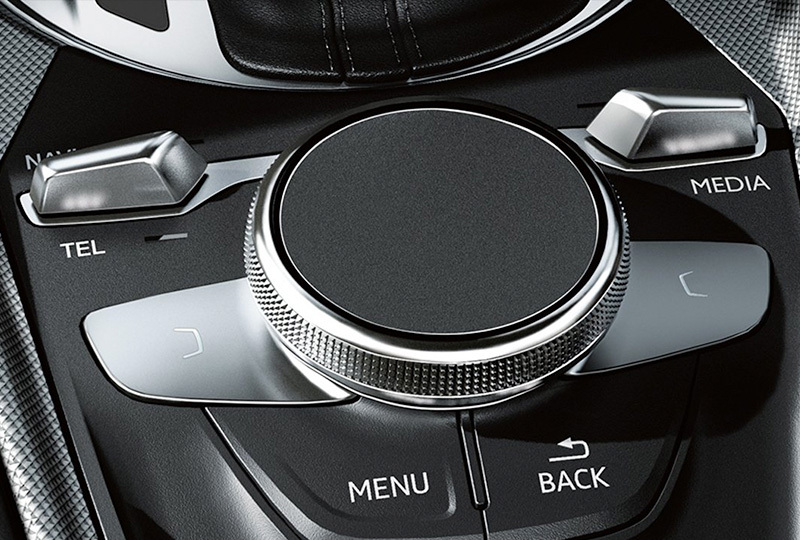 MMI infotainment technology is easy to control, thanks to the included controller with handwriting-recognition technology. Multiple conveniences keep your ride going strong, including a Homelink garage remote, a rear vision camera, and Bluetooth connectivity. Today is a great day to buy a new 2018 Audi TT Coupe! We have a great 2018 inventory, so visit our showroom today at 9010 Miramar Road, San Diego, CA. We can't wait to put you in the 2018 Audi TT Coupe of your dreams! The 2018 Audi TT Coupe is a vision to behold. 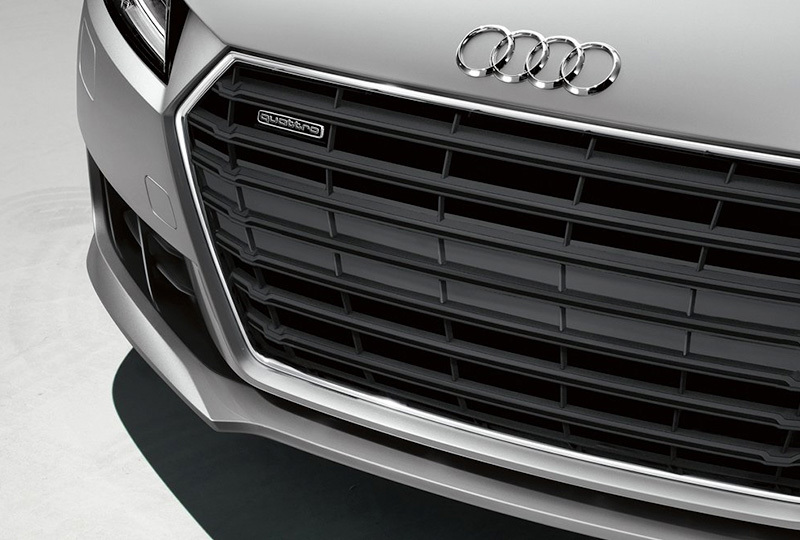 The iconic lines are there, but there's additional muscle as well - the signature Singleframe® grille makes its athletic nature known from the start, while the adaptive rear spoiler leaves a lasting impression. 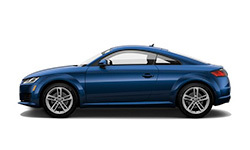 The Audi TT Coupe features a 2.0-liter TFSI® four-cylinder turbocharged engine that delivers 220 hp and 258 lb-ft of torque to all four wheels, propelling the TT Coupe from 0-60 mph in just 5.3 seconds. This available feature enables Apple CarPlay™ and Google™ Android Auto™ interface, allowing you access to your compatible smartphone's features, such as navigation, telephone, music and select third-party apps, and can be controlled through the MMI® touch, voice control system or steering wheel controls.